I may not have been losing weight, but I make it a point to exercise every day. For a long time, I've been in a plateau, but instead of letting this discourage me, I continued to walk for health purposes. After all, I am not getting any younger. 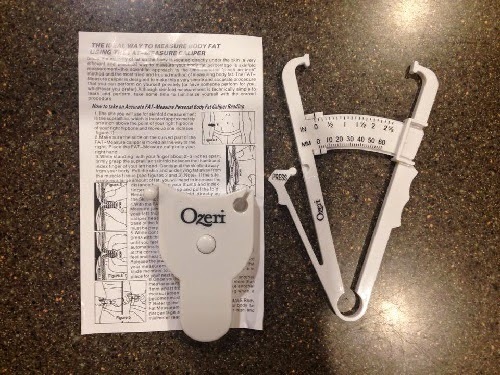 Today's review is about the Ozeri Body Tape Measure and Body Fat Test Caliper Combo Pack. Package includes a Body Tape Measure for waist, thigh, arm and other physique measurements, and a Body Fat Test Caliper to confirm weight management progress as your muscles grow and your unwanted body fat goes away. Body Tape measures up to 78 inches (200 cm), and features push-button locking and retraction for easy and accurate measuring. Body Fat Test Caliper employs a simple and time-tested mechanical means of determining body fat, without relying on electrical and battery powered devices. Body Tape measures in both inches (in) and centimeters (cm), and is made of ABS with a vinyl tape for long lasting use. Body Fat Test Caliper includes a body fat chart for men and women that categorizes and helps you understand your body fat levels. I have not measured my body in a long time because I didn't see the need, since the weight won't budge. I am hoping the this duo will motivate me to get serious in eating less. I tested the body Fat Test Caliper first. It's made of plastic, but it looks durable. The test caliper slides easily and it's easy to use, too. As expected, I didn't like the numbers I saw in the chart, but I knew it had to go down. The tape measure is retractable which makes it convenient. I didn't have to roll it up after using and secure with a band so it won't unroll when I keep it. 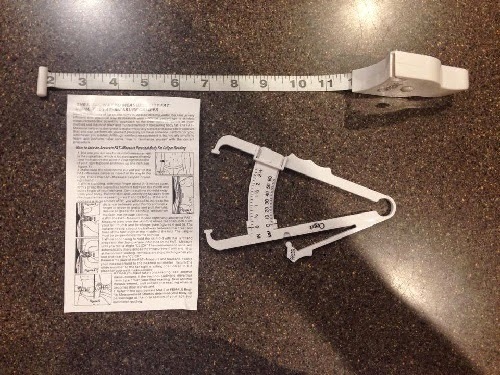 Like the test caliper, the "case" of the measuring tape is made of durable plastic. It comes with a stopper; a slot to hold in place when you reach the end point of the part you are measuring. If you want to always have your exact measurements, these two will give you the most accurate numbers. It will be easy for you to keep track of your weight and determine body fat. 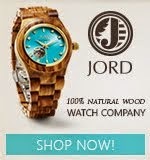 They are easy to use and both are small enough to pack in your purse or gym bag. 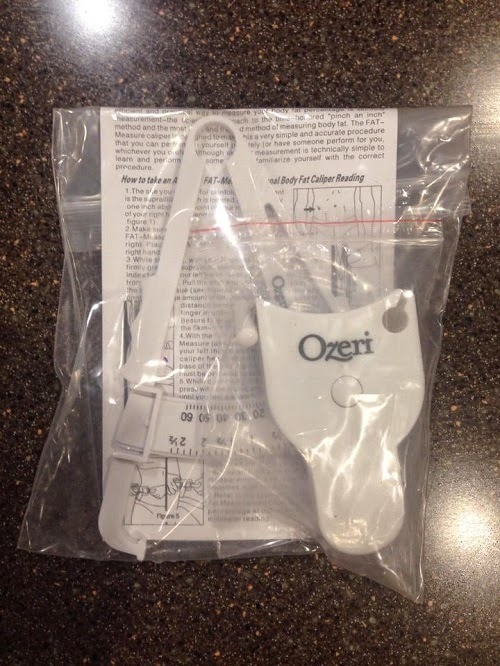 The Ozeri Body Tape Measure and Body Fat Test Caliper Combo Pack is available on Amazon. Disclosure: Product/s mentioned above were sent to me for free by Moderna Housewares for testing purposes. All opinions expressed here are 100% my own. All photos used in the review were taken by myself or family. Do keep in mind that what works for me may not work for you. However, I only recommend products or services I use personally and believe will be good for my readers.